Some of the children of Sucre, Bolivia. Blogging from the high Andes of Bolivia! Over the next couple of weeks, we will be bringing you news from Bolivia from guest blogger and Canadian Feed The Children Program Manager, Genevieve Drouin, who’s just landed in La Paz for her first country visit with CFTC in this role. Genevieve’s visit is focused on some specific projects that Canadian Feed The Children is researching to address child health issues in Sucre through our partner IPTK. 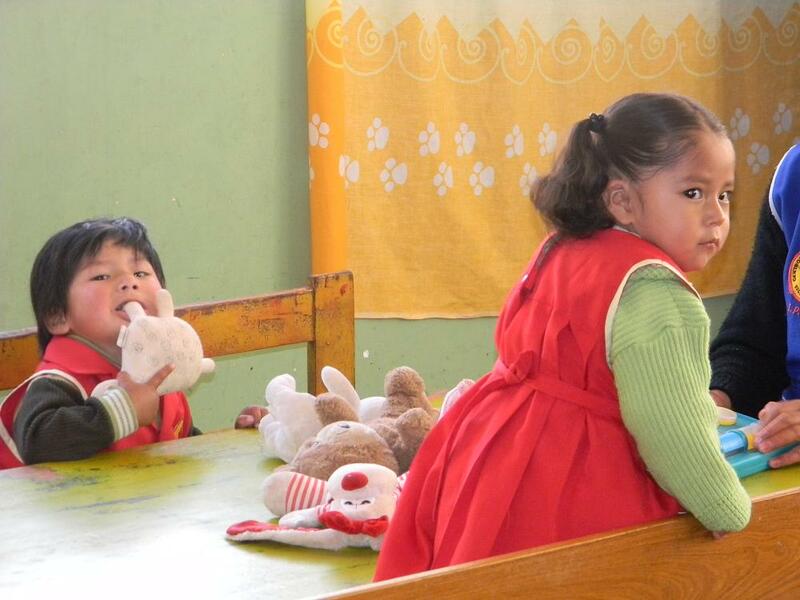 Did you know that it is estimated that half of the four million children in Bolivia are living in poverty? These children lack such basic necessities as food, safe shelter, access to health and education. Almost a third of children are malnourished. There are also high levels of exploitation of children who have been abandoned by parents who can no longer care for them–and once they are alone in the streets, these children are exposed to crime and drugs, to gang life and prostitution. 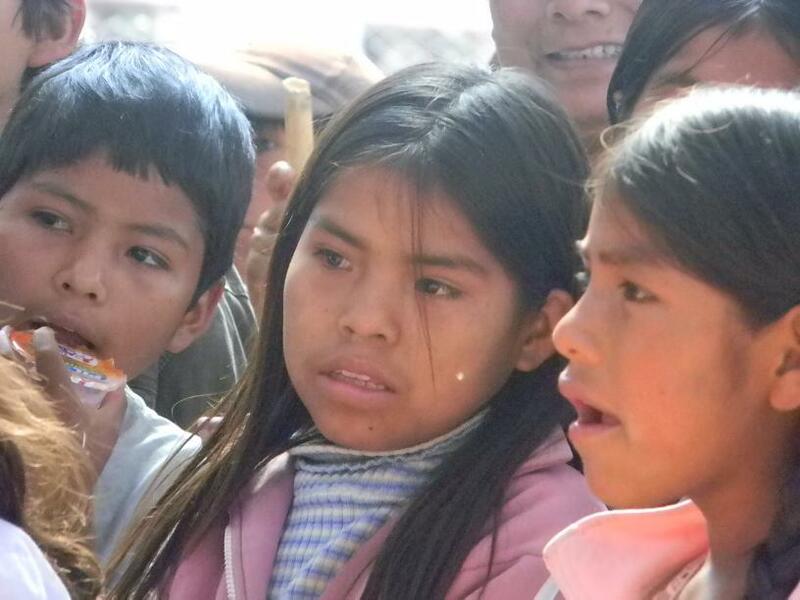 Yet there are great reasons for hope for the children of Bolivia, and some of this can be seen in the work underway with our partners in Bolivia. During this visit, Genevieve will provide updates and impressions of her visit to IPTK in Sucre and the surrounding districts, which will no doubt be informative as Genevieve is an international development professional with expertise in Africa and Latin America. 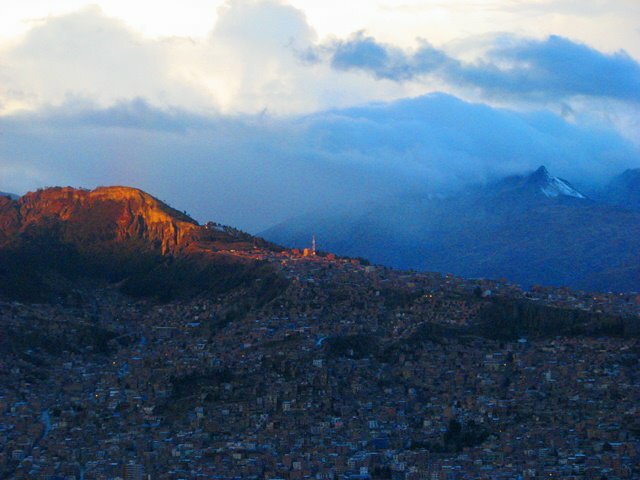 The approach to La Paz involves a descent through the clouds to the mountain-top city. February 6, 2012, La Paz, Bolivia—The altitude hit me as soon as I stepped off the plane in La Paz. At around 4,000 meters above sea level, the air is thin up here! I was greeted at the airport by Fernando Romero, CFTC Bolivia’s Country Representative, and Shirley Estevez, CFTC Bolivia’s Program Officer, who gave me a warm welcome and a thermos full of hot coca tea, meant to alleviate the symptoms of altitude sickness. Much appreciated! On the drive into the centre of La Paz, we circled down into a valley surrounded by mountains. The highest of them is Illimani, a snow-capped mountain that towers over the south of the city. It is incredibly beautiful! It is evening of day one and I am happy to report that, although sluggish from the altitude, I am feeling surprisingly well, and gratefully so because we have a full schedule ahead of us. A tentatively planned afternoon visit to our partner Alalay, which runs reception houses and formal residential ‘Villages’ for children rescued from street life, was unfortunately cancelled. With good reason though, because Monday, February 6th, is the first day of the 2012 school year in Bolivia and Alalay staff is focused on getting the kids ready. I am sure these dedicated teachers will have a group of anxious and excited kids on their hands. I was looking forward to the visit, but I will have a second chance in April, when I return to meet with all six of our Bolivian partners, as we launch our Theory of Change work there (more to come on that). Children at IPTK childhood education centres performed traditional dances for CFTC visitors during September 2011 donor visit. On this trip, I am here to work with our partner IPTK on an exciting initiative that CFTC is undertaking with them. Together, we are designing a project that will improve and expand IPTK’s existing model for supporting early childhood development among Bolivia’s lowest-income populations. CFTC has been supporting IPTK’s Centros Infantiles Comunitarios (CICOMs)—community-based early childhood development centres—since 2005. They currently operate seven CICOMS in urban and peri-urban areas in the municipality of Sucre. These centres provide early learning activities, health monitoring and nutritious meals for children under the age of six to promote their normal growth and development. We are now working to pilot this model in two rural areas deeply affected by poverty and its particular impacts on children. There is a serious need. Being far away from the resources and public services in urban centers adds an additional challenge to work in rural areas, but IPTK’s experience and solid track record makes a strong case for our project’s success in these highly underserved rural Andean communities. 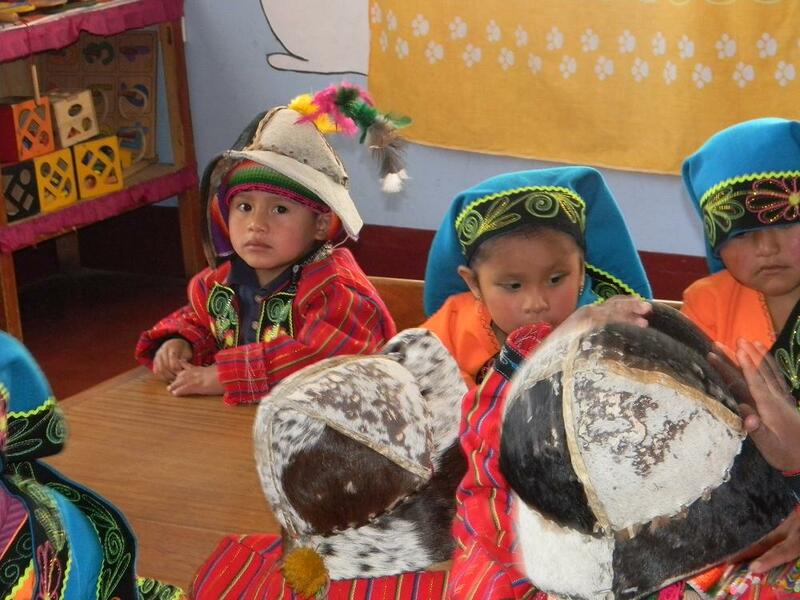 Children at the IPTK early childhood learning centre in Sucre, in September 2011. We are off bright and early tomorrow morning to Sucre. At about 1,000 meters lower than La Paz, I will be thankful to be breathing a bit easier. We will spend the next week working closely with IPTK and visiting one of the seven existing CICOMS that CFTC and our generous donors currently support, as well as the five main communities that we are collaborating with to design and implement this project. The participating communities named the project Allinchaspa Kawsayninchista, Quechua for “improving our lives.” That is certainly aligned with CFTC’s mission, and I look forward to sharing more on our progress over the next week!